Think money (or, the lack of money) means you can't spend a semester volunteering with ILP? That won't be the case with these fundraising tips. Want to know all about fundraising? You are in the right place. We know for many, the costs of traveling abroad are usually what makes it or breaks it — travel is expensive right? Well, it can be, but doesn't have to be! 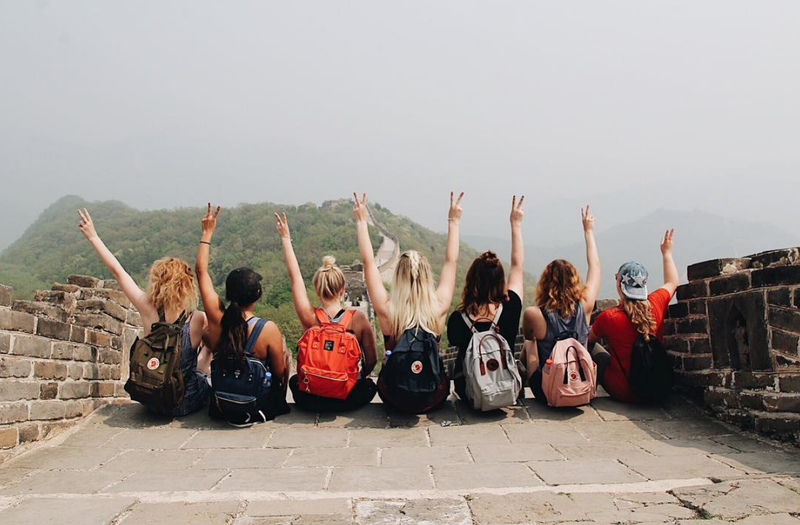 A semester with ILP means your program fee includes airfare, food, housing, visa and culture classes for the entire semester! Need more help? We have this guide that’s all about fundraising that we think you’ll be interested in. Send a fundraising letter to your friends and family, stating what you're doing and why you're fundraising. If 10 people donate even $10, that's a great start! Letters are a little less intimidating than asking in person, but show more effort than something like a Facebook post. Invite over friends and family and see how good they are at guessing. You can fill various jars with anything you have on hand (candies, popcorn kernels, jelly beans, beads, etc). Everyone in attendance can pay $1 to guess the number of items in each jar. Have multiple jars and let people have multiple guesses to raise money. At the end of the evening, look at the guesses and award the winners, who get to take the jar home. First, see if anyone is willing to donate a couple of prizes for your raffle. You could have donated meals or desserts, services (like free snow shoveling or baby sitting) or small DIY presents (like bath salts or salt scrubs). Create numbered tickets and put them inside each balloon. 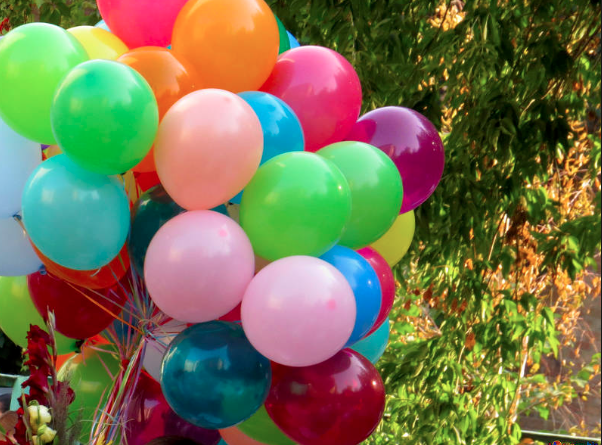 Once your guests arrive, have them purchase a balloon for $1 (or more). Since each balloon contains just one ticket, chance are higher if they purchase more tickets. Have guests line up and pop their balloons to reveal the winning raffle tickets. If you have a competitive friend group, this will work quite well. Raise money for your semester abroad by hosting a "beard challenge". People can donate $5 to challenge someone to grow a beard for 1 week. a $10 donation would be a 2-week beard growing challenge, and $15 would be a three week challenge. For $20, someone could challenge a friend to grow a beard for one full month. At the end of your challenge, host a party where you can have people pay $1 to vote on which participant grew the best beard overall, and the winners for the 1 week category, the 2 week category, and the 3 week category. The winners get a prestigious title, and you've raise quite a bit of money! All you'll need to supply is some time and the cost of 100 envelopes. Invite your friends and family over and display 100 envelopes, each with a number from 1-100 labeled on it. Your friends and family each will choose an envelope and donate the amount labeled on the envelope. So for example, your friend comes over and puts $5 in the envelope labeled with #5. Once that envelope has been chosen, it's removed from the pile or the display. Friends can work together to fill an envelope if they'd like (two people can add $25 to fill the #50 envelope). Hopefully by the end of the night, you have all the envelopes filled. This idea might work in addition to another idea, like hosting a movie night where you supply the film, the chairs and the popcorn, and people donate in an envelope for "admission" to your event. Have talented friends? Find a room in your house or apartment and spread the word that there will be a fancy art show at your place. Have friends submit their work and invite their friends and roommates to attend (charge admission or ask for donations for your event. Even if you have a $2 fee to come, people may donate more). You can even have an auction where you auction off the artwork to raise even more. The same idea works with a car show. If you have friends or neighbors or coworkers who would love the chance to show off their antique cars or fancy cars (or junky cars), drive the cars to an empty lot and charge admission to see the display. Throw a birthday party for your furry friends. Invite everyone to come to a doggie birthday party and donate towards your semester abroad. Make sure to have bowls of water (and see if any local pet stores would be willing to donate treats for your pets or make your own) as party favors for the guests of honor. You can make this as low-key or as fancy as you'd like. In love with those dreamy lantern releases? Us too, so we think you'll have good luck hosting your own. See if any friends or family members would be willing to donate the lanterns (you can purchase paper lanterns on Amazon) or charge a slightly higher cost per lantern to help raise money. Like most things, people may be willing to donate more for the cost of the lantern if it's for a good cause. Think about hosting a lantern release to help remember a loved one who has passed on. Want something more personal than a letter? It may be intimidating to ask for donations, but others can hear the excitement in your voice as you explain where you plan to go and what you plan to do. One volunteer decided to call everyone that she should would send a wedding invitation to and was able to reach tons of people that way. Spaghetti is cheap and easy to make and you may even be able to get it donated by a grocery store. Doesn't hurt to ask! Hand out fliers to everyone in your neighborhood or create the event on Facebook, inviting friends and family. 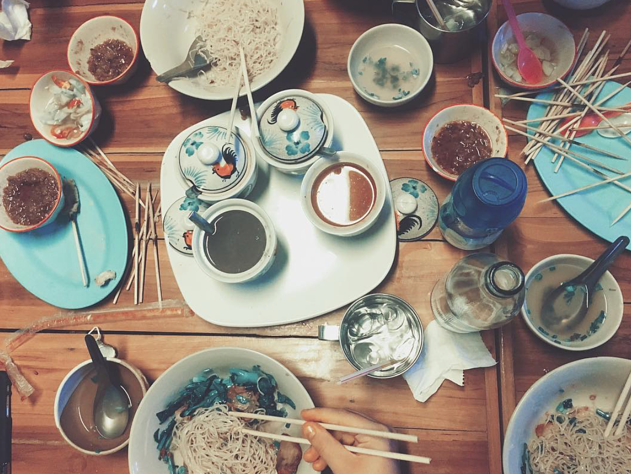 Decide what the cost per plate will be and then do a small presentation during dinner explaining what the proceeds will go towards...If you are living in China for a semester, serve spaghetti with chopsticks or try making Thailand's version of spaghetti! If the weather permits, a car wash is always a fun way to earn money for a good cause! Recruit friends (or your younger siblings) to help you out. You can often find small businesses who will allow a car wash on their property, especially if it brings in some business for them. Many restaurants are willing to help with fundraisers for non-profit organizations (which ILP is!). 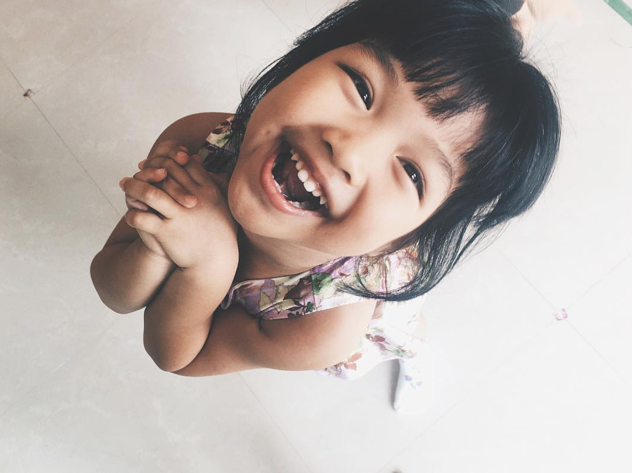 Check with restaurants in your area to see if a percentage of their proceeds could go to your cause of helping children to learn English. Check out this website for ideas. This has been a popular one with many volunteers. Get items donated and then hold a yard sale....that way, you get 100% of the money! Find a "Yard Sale How To" here. You know how you walk into a small business and they have a jar at the cash register with a picture on it so cute or heart wrenching that you just can't NOT put your change in? Do that! Guilt people into donating for your cause. It works, people. Talk to local businesses that you think might be willing. Ask if they wouldn't mind setting out you donation jar. 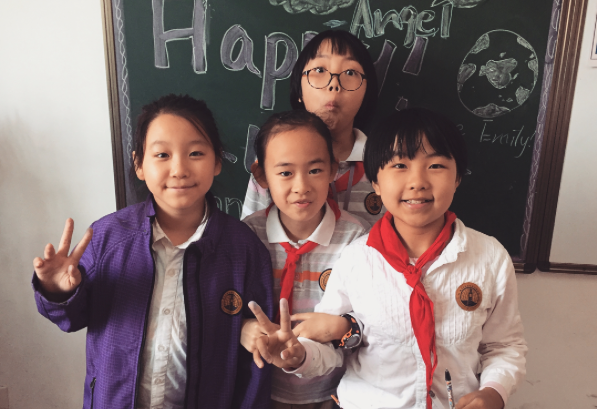 Cut out cute picture of the kids, add an easy to use tag line like "donate to help me teach English in Thailand" and leave them with the business. Come back in a couple weeks and see if you had any luck. Everyone loves to dance, so give them a place to do it. Make a Facebook event or pass out fliers to friends. Send a mass text invite letting everyone know that you're hosting a dance party to raise money to help you serve abroad. Find a free venue like a park, parking lot, or church building. Charge an entrance fee and dance the night away! If you or anyone you know is musically talented, hold a benefit concert. Let people know that you are funding a semester abroad, charge an entrance fee and share your talents. One volunteer hosted a stand-up comedy night and was able to raise money and school supplies for her semester —get the details here. There are many websites out there that let you set up a profile, add a Pay Pal button (or a donate button offered by the website), and receive donations online. You could set up a blog where those who donate will be able to see what you're doing throughout your semester. Just add a PayPal button to your sidebar. Send out a link to your page so that others know where to donate. While it's convenient for people to make donations online, be aware that a small percentage goes back to Pay Pal or whichever organization you choose. Read the fine print to know how much money you'll lose with this option. 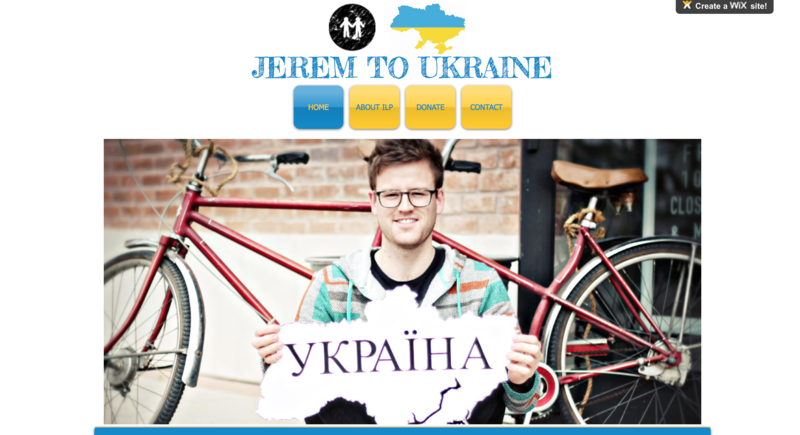 ILP Volunteer Jerem T. used Wix to create a website and was able to fundraise his entire program fee. He said he received donations from people he wouldn't have even thought to ask. Others have had success with Go Fund Me, but beware as they have higher fees. Want more help? To talk to an ILP rep about what they did to afford their semester abroad; just click that button below!